The recent announcement of a large discovery in Lancashire is the most significant development so far in the burgeoning European shale-gas industry. Recently, oil industry publications reported the existence of a ‘world-class shale-gas play’ in the Basque country in northern Spain. However, Europe cannot emulate North America’s shale-gas revolution unless it profoundly amends the rules that govern its defective natural-gas transportation market. Since the middle of the past decade, Europe has been watching the US unconventional gas-supply growth with mixed feelings. The presence of favourable geological structures across continental Europe, possibly containing vast amounts of natural gas, has been a source of hope for countries such as Poland, which see a potential opportunity to reduce their reliance on Russia. Nearly everybody else sees reasons for concern. Gazprom, its business model pressured by the growing integration of Europe in the global LNG market, could see the long-term demand for Russian gas significantly reduced if shale gas was abundant. For policy makers in Brussels and many member states, relatively cheap gas means even more expensive renewables, on the large-scale deployment of which they have bet their credibility. Large European energy utilities are counterparties to Gazprom (in outdated oil-indexed long-term gas contracts) and/or to European governments (in highly subsidised renewable contracts), and the last thing they need is another market development making those contracts even less sustainable than they are. Consumers, however, should rejoice. With gas prices currently double those in the US and little prospects for a meaningful global agreement on climate change, abundant natural gas is the continent’s best hope for cheaper energy, affordable carbon emission reductions and enhanced security of supply. Let’s side with consumers and ask about the conditions for a shale-gas revolution in Europe. A key enabler in North America is the efficient market in gas transportation that adapted quickly to the growth and changing geography of supply. During the seven years between 2004 and 2010, the Federal Energy Regulatory Commission authorised three times more pipeline investment in volume than during the previous seven-year period. This is a decentralised process by which independent pipeline companies invest in new infrastructure that allow suppliers to serve the market and traders to arbitrage price differences. Finance is secured by selling long-term, tradable capacity contracts that satisfy bankers’ need for guarantees without foreclosing the short-term gas market. This is in sharp contrast to the situation in Europe. By construction, what Brussels call the ‘single market’ is a patchwork of gas transmission systems, managed as large territorial (usually national) regulated monopolies. They charge users of the national grid tariffs fixed or approved by a national regulatory agency. The roadmap to build a single gas market was to roll out the British model in all member states, hoping it would allow a European market to emerge. The project is failing not only because national and industrial interests have resisted the ‘liberalisation’ agenda, but because the market model is flawed. What worked for Great Britain cannot work for Europe as a whole. Decentralised investments in ‘inter-state pipelines’, which allow the US market to work so efficiently on a continental scale, cannot be replicated in Europe under the current legal and institutional regime. The current exercise into defining a ‘gas target model’ for Europe cannot fix this as it explicitly excludes questioning the fundamental features of the gas transportation market design as codified in the so-called ‘Third Energy Liberalisation Package’. The closest that we have in Europe to an emulation of the decentralised, free-entry US model are the unregulated pipelines that were built between Great Britain and the continent. They were completed quickly, delivered real market integration, created incentives to oversize import projects into the UK and eventually transformed Britain into a corridor for global gas into north-west Europe. However, the economic model on which they were based — long-term contracts for point- to-point capacity — is now banned by the EU ‘Third Package’. Shale-gas exploitation in the UK would have at least an impact in north-west continental gas markets. But Europe cannot settle for that. Most of central Europe missed out on the LNG boom of the last few years for lack of an efficient European market in gas transportation. For the same reason, all of Europe except Poland would miss out on a Polish shale-gas supply boom. However, investors drilling in Poland, Romania, Austria or Lancashire expect to sell their gas on a European market, just as drillers in Wyoming, Pennsylvania, Colorado or British Columbia invest for the North American market. Without a fundamental reform of the EU gas market model, the former will be disappointed and Europe’s shale-gas potential will remain just that. And what about the proven detrimental environment damage caused by ‘fracking’? Perhaps doing some more research on the subject would “prove ” to you that the detrimental effects from “fracking” are extremely small. Considering the gain to our overall societal well being and energy security, the small risk is well worth it. This is a a magzine devoted to promoting engineering. We all need to use the problem solving techniques we learned to come up with the best solutions. The use of the abundant shale gas, will provide the time to properly engineer what we will use in the future. Our societies run on hydrocarbons, and that is what will be powering the world community for a very long time. Patrick, I gather that it’s not proven in general- are there specifics, you can quote? We in the US appreciate the EU sending us your producers looking for lower cost production! As soon as Obama is out of office, America will be even more competitive and independent. Stay tied to the Russian bear and Chinese Dragon (for the rare earth elements they control and are necessary for wind and solar). We could use the jobs and revenue of out-competing the EU. 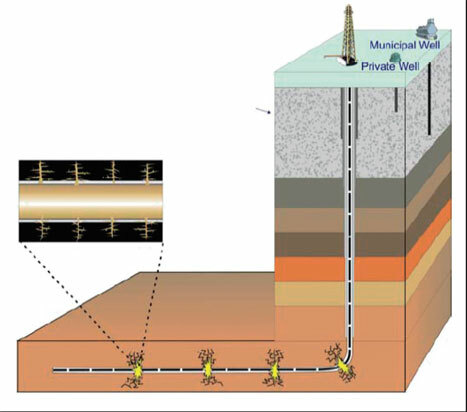 Where fracking cause a few contamination problems, it was found that some well casements were done wrong. Wow. There is so much wrong with the article and the comments, I despair for engineers. Why can we not see the bigger pictures ? re; Environment and Gas Fracking refer to the recent film ‘Gaslands’ and consider the detrimental change in land carbon stocks, diversion of water resources and scale of capital allocation this industry requires to create production pads. Then consider the energy inputs required to extract, compress and transport the raw material so obtained.